Michel Masson is the CEO of Infrastructure Victoria, the government body charged with formulating a 30 year strategy for Victoria’s infrastructure. This is the second part of the two part Red+Black Architect interview. Red+Black Architect – While selecting the right piece of infrastructure to build at the right time is critical, it’s equally critical to the liveability of the state to ensure that the design quality of the proposed infrastructure is of a very high standard? How is Infrastructure Victoria addressing this complex issue of the design quality? Michel Masson – Let’s be clear as to what Infrastructure Victoria stands for. We are responsible for the strategic planning only. We’re not touching on the procurement. We’re not touching on the delivery. Clearly, we’re not here to revisit designs and look at those when we identify projects. That’s at a later stage. Having said that, we do acknowledge the importance of design in getting the right outcome. We are very focused on being outcome oriented, rather than focused on an output. With that in mind, we’ve looked at a couple of ideas that are about improving design standards. We are looking at universal design principles to provide accessibility for people with mobility challenges, and how we can push that further. We’ve looked also at active design as a way to promote more active lifestyles using infrastructure, such as putting cycling and pedestrian pathways into new developments. We’re looking at design in relation to social housing. We’re also looking at design around cyber security. Infrastructure will have more and more technology embedded into it so that needs to be taken into account. R+BA – Have you been consulting with the Office of the Victorian Government Architect on how to achieve design quality in the process of delivering infrastructure? MM – You’ll be pleased to know that I’ve had already exchanges with Victorian Government Architect Jill Garner in order to have exactly that discussion. We’ve highlighted a couple of areas where indeed our role and their involvement into the strategy could actually be reinforced to ensure design is considered. R+BA – From the projects that made it into the options paper, are there any that you found particularly surprising either in perhaps because they initially sounded far-fetched but have since shown promise or perhaps a project that was assumed to be a very important part that actually is not particularly viable? MM – It won’t come as a surprise that when you table 236 options in a very agnostic way, of course, some catch the attention of the public more than some others. Infrastructure Victoria is an evidence-based organisation. We are totally agnostic. We tabled those and we’re very interested to get the feedback from the public. Of course, when the public cast their eyes on recycling water for drinking purposes, or the mobile police stations for instance, this is very good news for us because we certainly don’t want to shy away from controversial ideas. Business-as-usual won’t cut it when it comes to planning for the next 30 years when you’ve got so many new people coming and settling in Melbourne and you’ve got technology changing so rapidly. We need to think differently when it comes to water, when it comes to education, when it comes to transport. Of course, there are some far-fetched ideas but we’re talking about the future so let’s unleash our imaginations and also look at what worked in the rest of the world. R+BA – How does Infrastructure Victoria assess projects that cross state borders, for example, the high-speed rail on the Eastern Seaboard? MM – There is a close collaboration between Infrastructure Australia, Building Queensland, Infrastructure New South Wales, Infrastructure Victoria and Infrastructure Tasmania. We meet on a regular basis in order to exchange information on who is working on what. We’re not here to reinvent the wheel in our silos, far from it. The more we collaborate, the more we share what we are working on, the better we cross-pollinate our ideas. Of course, in the process of exchanging ideas and cross-pollinating, we discuss national projects like high-speed rail or inland rail in order to confirm our thinking and come up with a consistent approach. R+BA – With the way technology is advancing rapidly, is the 30-year goal a realistic goal or will it be virtually obsolete within a decade? How do you deal with that rapidly changing technology? MM – I think that the beauty of having a 30-year plan is that it’s sufficiently far off in order to be able to make some good assumptions as to how we see the future. Clearly we don’t have a crystal ball. Ten years ago, nobody knew that we would have these mobile phones in our pockets and how much it would revolutionise our lives. Having said that just because we haven’t got a crystal ball doesn’t mean that we shouldn’t plan. This is the whole essence of planning. It is important to keep in mind that we’re going to refresh our strategy every 3-5 years. This is not a one-off exercise and then we’ve got to live with it. If that were the case, you would be absolutely right, it would be a pointless exercise. Two things to keep in mind: one, we’re very mindful that technological advances will make a big impact in how we build, how we operate and how we maintain infrastructure. That’s why we got technology at the forefront what we are looking at. We’ve secured the help of the former chief innovation officer from Google to help us think about the “known unknowns” but also the “unknown unknowns”. We also need to be very clear in identifying what are the potential disruptors that we need to monitor the impact of. It’s very clear that we can already see the impact of big data and the internet on things. We can see how sensors are already revolutionising water use, for instance, or the energy sector. I’ll finish off by saying that the last big elephant in the room that we are working on in terms of modernisation is driverless cars. Is this a blessing or is this a curse? What are the changes of the paradigm that we should be looking at in order to leverage upon this and all of the implications that this will have. R+BA – Yes. It’s very hard to get your head around exactly how that will play out. It could go two ways, in terms of rapidly increasing the amount of cars on the roads because we’ve got all of these cars driving themselves and running errands for people or perhaps it could reduce the numbers of cars, particularly households currently with two cars. MM – Even if you’ve got less cars overall, you will have more kilometres being driven. It comes back to that question of what is the outcome we want to achieve. Driverless cars also cast a light also on the concept of ownership. With driverless cars, if we stick to the concept of ownership of a car, it will bring different outcomes than if we look at the driverless cars in a new paradigm of non-ownership. R+BA – Barcelona recently wired a lot of their streets to prepare themselves for an innovation of these driverless cars. Is that something that’s in the draft options report, the idea of WiFi on the street everywhere, facilitating that sort of future outcome? MM – We certainly are in the process of identifying what are the technology changes that we need to facilitate in order to enable the driverless cars to flourish in the future. What do we need to start looking at in order to ensure that Victoria is ready for what is to come. It’s not a question of if that’s going to come. It’s a question of how fast and how prepared we are. A lot has got to do with policies and regulations currently in place that need to be looked at in order to ensure that Victoria is ready for it. R+BA – Absolutely. I can imagine the law would be one of the areas that would need to change, who’s responsible for accidents and so forth. Are there any aspects of Infrastructure Victoria’s work that have been overlooked or under reported in the media … Is there a message that you would like to put out there that sometimes gets lost amongst the East West Link and other controversial topics? MM – Well, one of the key characteristics of the 30-year strategy is to cover the whole state, meaning that regional Victoria is equally as important as metropolitan Melbourne. We are very eager to have regional Victorians express their views throughout the consultation so that we are sure that what we table to Parliament reflects their views and their contribution, not just what is best for Melbourne. The other thing which has probably been overlooked is our guiding principle of land use planning being integrated with the infrastructure planning. We’re very keen to look at ways of bridging that gap. Of course, we are working in close collaboration with the Melbourne Planning Authority. The refreshed Plan Melbourne will be an input into our strategy together with the regional growth plans. Looking at the next 30 years, I think one of the most fundamental changes that we can bring is better integration between infrastructure and land use planning. The last thing that I’ll say is that we are very ambitious in the final strategy we plan to table at year end, because strategy without execution is nothing. We’re very keen to not only provide a pipeline of strategic recommendations, but for the final strategy to be workable. It needs to be an input to the community, to business, to the local and state governments. We’re very keen to identify in parallel to our strategic recommendations, what are the tactical next steps? What is the first actionable item that we should be starting to do in order to see a recommendation being implemented? It may be as an example that we plan for significant capital expenditure, say for a road for instance in 10 or 15 years. Even though you won’t need to build it for 10 or 15 years, we would recommend to pass the relevant legislation in the first 18 months to preserve the corridors. That I think will reposition the true essence of planning into the state of Victoria. In May the Australian Institute of Architects ushered in a new era in their history with the commencement of a new CEO, Jennifer Cunich. In the weeks since beginning her new role, Cunich has been traveling across the country, meeting with Institute members and staff. Recently she took time out to answer some questions on the current position of the Institute and her vision for the future. Red+Black Architect – As someone who led the Victorian Branch of the Property Council for 14 years, there must be an array of organisations that would love to have you. Why did you choose the Australian Institute of Architects in particular as your next career move? 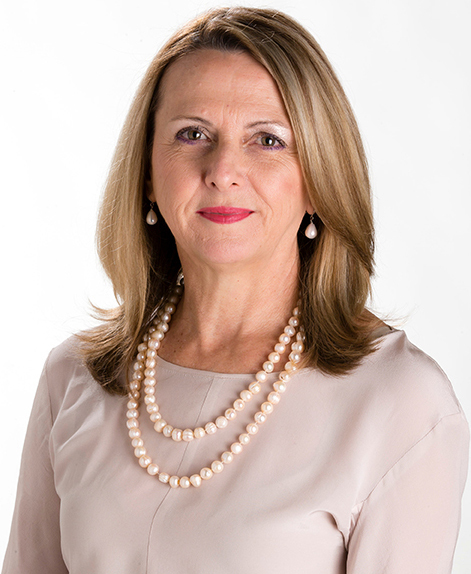 Jennifer Cunich – The extensive time I spent at the Property Council was enjoyable for many reasons. In particular however I loved working within the property sector. Being involved with an organisation whose members build our cities and change the built environment is something I value. The opportunity to work with the Australian Institute of Architects was an opportunity to work with the designers of our cities but also an opportunity to stay within this broader field. 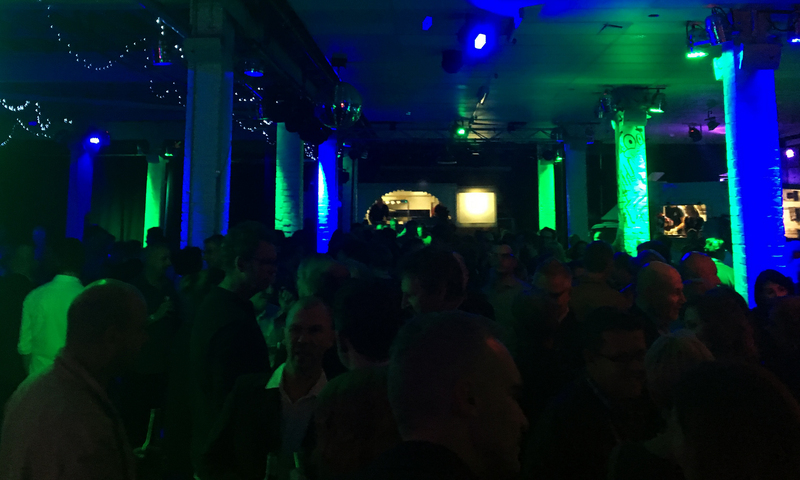 R+BA – What is the biggest challenge ahead as you see it for the Australian Institute of Architects? JC – Policy and advocacy is a key area for our members. Architects can play a greater role in the community and a key challenge will be strengthening our voice in a space that has already been dominated by a variety of organisations with competing agendas. R+BA – On the flip side to this, what is the biggest opportunity for the Institute? JC – At the same time the above is one of our biggest opportunities. In order to be stronger and more effective in bringing about change within Australian communities, participants in the built environment need to work better together. I will be reaching out to the major industry bodies and professional institutes to foster greater awareness of design in our built environment, and increase understanding that architecture and creative design are part of a solution to many problems. Our new strategic plan which focuses on membership services, advocacy and education is also a great opportunity to review our programs to better help members with the changing needs of modern practice. R+BA – What do you make of the AIA’s financial position? How dire is it? JC – The Institute has made some very positive changes to its business model over the last 12 months which has already made an impact on the financial situation as outlined in the Annual Report. The focus is on reducing non-essential operating costs and aligning resources with the core areas of membership services, advocacy and education. An IT upgrade is currently underway which will further reduce the ongoing operating costs of relying on bespoke and out-of-date IT systems. We were asset heavy and are actively re-addressing the balance. R+BA – How do you think the AIA and architects generally are perceived by the wider community? JC – Architects have always made considerable contributions to our communities and I believe a vast proportion of the community understand the role they play and are actually in awe of architect’s skills. However, there is certainly still an opportunity globally to broaden the public’s understanding of what architects do and can do especially in future-proofing cities. I believe the Institute is well regarded publicly as a strong voice of the profession. Programs such as the Awards are well publicised nationally, showcasing how even individual projects can make big impacts. Last year’s National Awards featured on the front page of the Sydney Morning Herald, so there is an interest and an appetite for architecture beyond the profession. R+BA – Do you see your role as one primarily of governance, or will advocacy also be a big part of what you bring to the Institute? JC – In my mind both governance and advocacy will be critical parts of my role as CEO. Having good governance and leadership within the Institute will be critical to the future success of the organisation. Advocacy will also be a critical both in terms of advocacy to the community and also advocacy to government. R+BA – Previously at the Property Council you have spoken out in opposition to minimum apartment standards similar to SEPP 65 being adopted in Victoria. Have your views changed on this issue? JC – I have previously spoken against minimum apartment sizes with the State Government. The issue as I see it is one of quality rather than quantity of apartment. I am concerned that if minimum sizes were to eventuate, apartments of poor quality design could potentially be approved just because they pass the ‘minimum size test’. As Institute members are well aware, site specific high quality design is essential if the buildings are to leave a positive legacy. 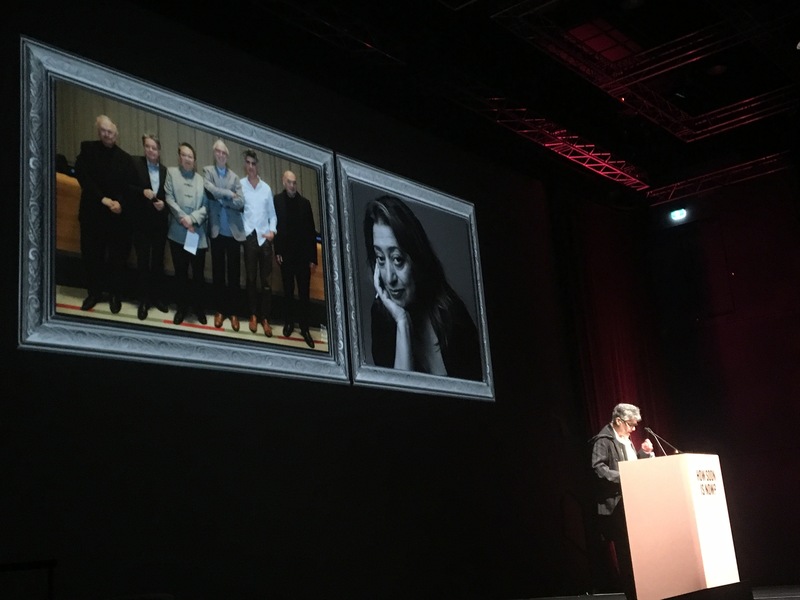 R+BA – Over the last five or so years there has been a substantial push for greater gender equity in the architecture profession. This has been primarily led by what is now Parlour Inc. How visible has this been to observers outside of Architecture? JC – The push for gender equity is something that has really gained momentum in the broader community over the last 12 months. Within the Institute substantial progress is continuing. The National Committee for Gender Equity was established in 2014 and has been making excellent progress. 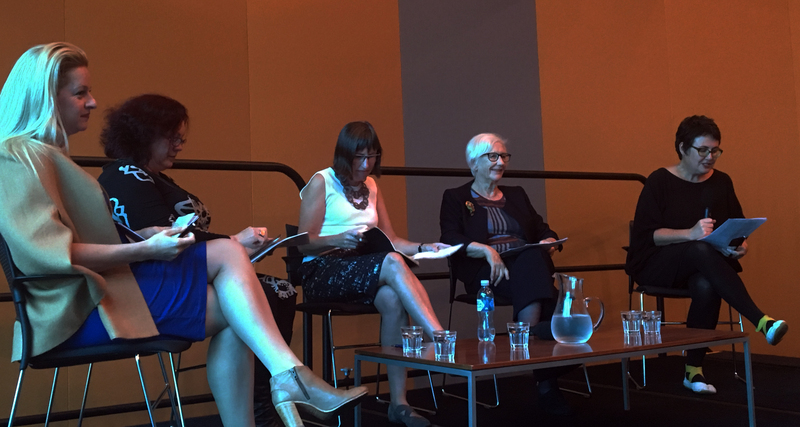 The Institute has implemented a Gender Equity Policy and in the NSW Chapter, a Champions of Change program was established in 2015, for large practice leaders to effect change within their practices. R+BA – How much importance do you place on improving gender equity and diversity? JC – Improving gender equity and diversity is very important. I have found it particularly pleasing to see so many women working at various levels across the Institute. As far as the profession of architecture is concerned, I think that perhaps the biggest challenge is keeping women in the profession. In particular the impact that family commitments can have on a career is something that I think needs attention. R+BA – What lessons have you learnt from your time at the Property Council that you think the Institute should pick up upon? 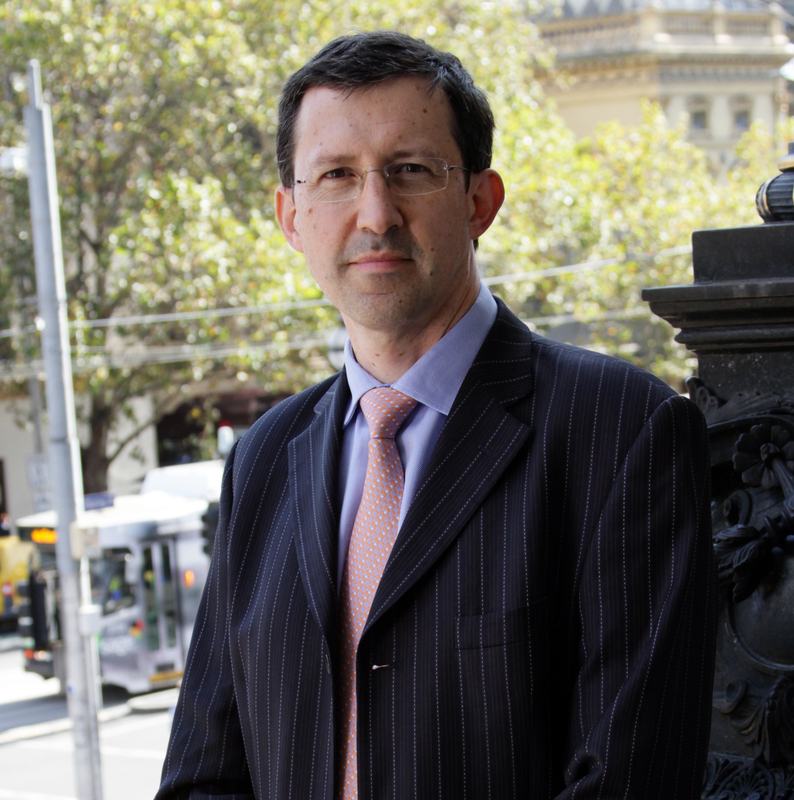 JC – There are many skills that I will bring to the Institute from my time at the Property Council. Despite the differences between the organisations such as the composition of the membership (the Institute is comprised of individuals rather than companies), it is still vital for the leadership to gain consensus and manage member expectations. Perhaps my biggest value to the Institute will be my skills and experience of advocating with government. 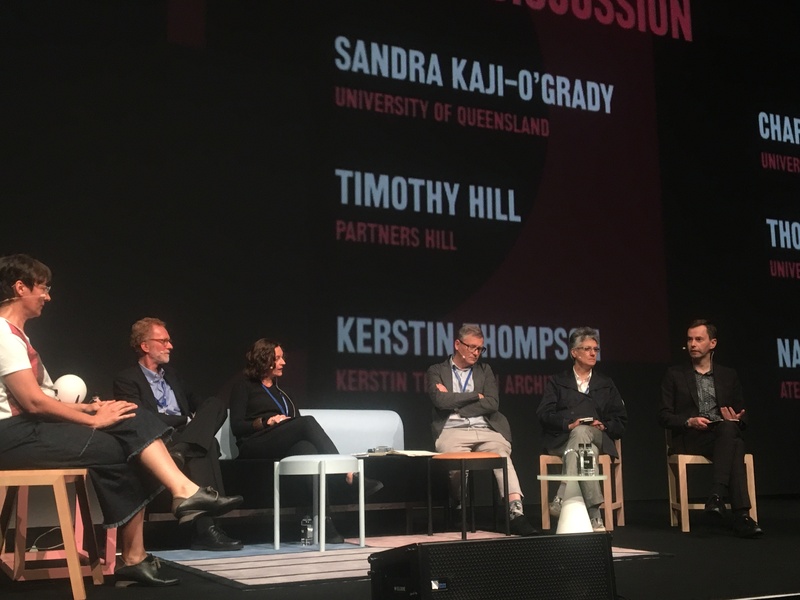 With greater focus on cities and creative industries across the various levels of government the ability for the architecture profession to advocate for a better future will be critical to the success of the Australian Institute of Architects. 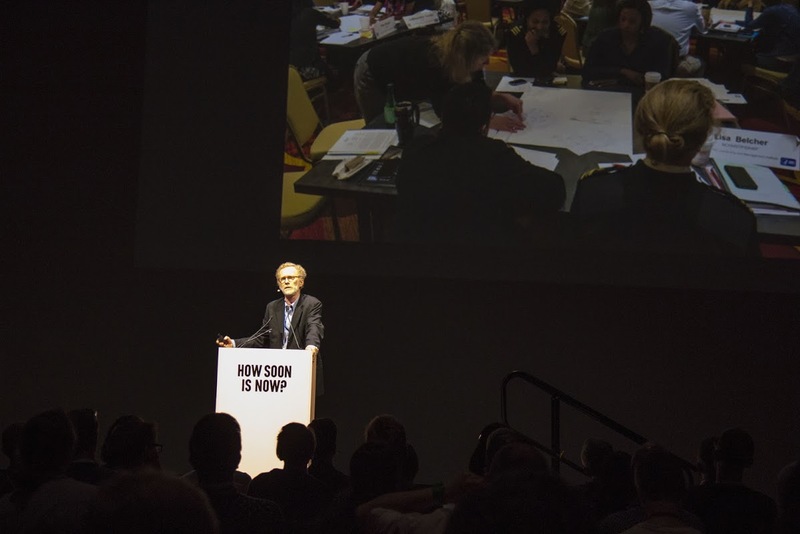 One of the standout highlights of the 2o16 National Architecture Conference, How Soon is Now, was the closing keynote address delivered by Thomas Fisher. Thomas Fisher is a professor in the School of Architecture, the Dayton Hudson Chair in Urban Design at the University of Minnesota, and Director of the Metropolitan Design Center at the College of Design. He is also author of the extraordinary book titled ‘In the Scheme of Things’. The Red+Black Architect was fortunate enough to speak with Thomas Fisher on the first afternoon of presentations, prior to his powerful closing address. Red + Black Architect – It seems the architecture profession has been in a continual crisis for about some time now. How did we get into this position and how long have we had this certain crisis? Thomas Fisher – Well, I suppose it depends on what crisis you’re referring to, there’s sort of the post-Great Recession crisis, but it sounds like you’re referring to something longer-term than that. R+BA – Yes, more recently we had the global financial crisis, but it goes back much further than that, possibly back to modernism potentially. TF – I guess my view of things is that when things aren’t working, it’s usually a signal that it’s time for a change. I think one of the things that I find fascinating about our profession is that, on one hand, we’re sometimes extraordinary risk-takers when it comes to form and even ideas, but when it comes to our own practices we are incredibly risk-averse. As we just heard from Andrew Beer, the Dean from the South Australian Business School, we have been for quite a while going through a phenomenal change in our economy, which is requiring everybody to come up with new delivery models, new business models. In theory, you would think the design community would be good at this, but in fact have been fairly conservative in our willingness to try completely new ways of doing things, so I see every crisis as an opportunity, as I think we do when we design. I mean usually clients are coming to us with a crisis, right. TF – The design is the way to get them past their crisis. Well, okay, if our profession is in crisis, we need to design a way out of this, and I think to be a designer you have to be optimistic. I believe that this is just an opportunity for us to do things in different ways. R+BA – What are the biggest problems facing our profession, as you see it? TF- Compensation is often brought up and we have fee structures that are really presented as if we’re at cost, like our buildings are at cost, and what we don’t really recognize is that we save our clients far more money than it cost them. If you just look at energy savings, we save our clients vast amounts of money through design strategies that we now use and, so, I think one of the challenges we have is that we need to frame ourselves as how much we save clients. You pay us more we’ll be able to save you more because we spend more time saving you money. If you don’t pay us much, we won’t save you much and it’ll actually cost you more. R+BA – Perhaps this is causing a vicious cycle where architects are not being paid enough, so they don’t have enough time to do the job well enough, to justify increasing fees. TF – Yes and in this regard, I’m also fairly critical of the universities. I don’t think schools of architecture have done enough to actually do the kind of research that would provide the kind of information to the profession to make these architects. We all know about post occupancy evaluations, but those tend to be more from a user point of view. I think that there’s a lot of research opportunity there to actually go back in and benchmark what the building could have been, what are sort of standard products would have been and how much the architect saved them in terms of everything from performance and operations to savings on turnover of staff. I mean all of these things are costly to clients and, so, the universities need to have a research agenda, which is, I think, more closely aligned to what the needs of the profession are. R+BA – Research is one role of the universities, but what about the education about next generation of architects? What do you think needs to be done in that regard? TF – That’s right. I think we are moving into a time where it’s a little bit along the lines of what happened in the legal profession and I think I write about that a bit In the Scheme of Things. The legal profession in the Great Depression of the 1930s was in similar turmoil. They used to go to law school to become a trial lawyer. That was what lawyers did because they learned how to write briefs and to argue cases in front of judges. In the Great Depression of the 1930s there were too many graduates of law schools coming out for the need for trial lawyers and, so, there was a conversation in the middle of the 20th century of maybe we should close down half of the law schools, but instead what the law did is it reinterpreted what it meant to study law, so, now, trial law is just one of many avenues. There’s environment law, there’s corporate law, there’s a wide range of legal paths you can take. I think that some of the data seems to suggest that less than 50% of lawyers ever set foot in a courtroom at all in their entire career. So trial law, which used to be all of law, is now just one of many things. I say this because I think the architectural profession is going through the same transition. We will always do buildings, like there are lawyers who will always be trying cases in court, but buildings will be only one of a wide range of value-added services that we’ll be offering clients and communities. Some of those will involve design problems that don’t really involve buildings at all, so part of the educational shift that has to happen in architecture is similar to what happened in law, which is that you go to architectural school not to learn how to design and build buildings. You go to architecture school to think like a designer and the applications of that are much broader than what we have been doing in the past. R+BA – ‘In the Scheme of Things’ is now about 20 years old and you are just about to launch a new book. How has your thinking changed over this period? TF – I think one of the biggest differences is the economy has changed, the context has changed and when I wrote In the Scheme of Things, I was still fairly focused on architecture. I wrote this for essentially an architecture readership. The new book, which is about applying design thinking to our politics, to our economy, to higher education, to infrastructure, to a whole range of systems that are not working very well, is really aimed at decision-makers, so the audience of the book is very different because I think we spend a lot of time in the profession talking to ourselves. The new book is really an integration of many pieces that I’ve been writing in the Huffington Post for the last several years. I’ve been writing in the Huffington Post because many staffers for politicians, particularly in the English-speaking world, read the Post. I thought, well, I could write and I just continue to write in architecture magazines for the profession, but I thought if I’m going to be writing about the value of design and design thinking, I needed to be in a place where non-designers were reading and, so, the Post has been a terrific place to do that. At some point I’ve written so many pieces I started to wonder, well, do they fit together and is there a bigger argument? The new book has really stitched together many Huffington Post pieces into a set of arguments that’s really about design thinking applied to some of these bigger systems that we don’t think of as design. I mean our economy is a design of system. Our politics is a design of system and there are, frankly, not working very well because they’re badly designed. R+BA – This seems to be one of the overarching things we’ve seen so far in the conference, with a lot of discussion about cities, big infrastructure projects, zooming in to the fine detail, but then looking at the bigger picture as well. TF – I think that’s actually one of the great skills that we learn in architecture school that we take so for granted, but very few other disciplines do this, is that ability to zoom out and zoom in on scale. Many disciplines work at a particular scale. I have colleagues in engineering who just look at nano technology, the nano scale. I have geography colleagues that only look at the sort of geographical scale. We’re one of the few that sort of go in and out constantly. What that does is that you start to see connections depending on the scales that you’re working at, and that’s both spatial scale, but it’s also temporal scale. At a time when the context within which we’re working is changing dramatically, I mean one of the differences is that I don’t even know if I mentioned climate change In the Scheme of Things. I mean the idea of climate change 20, 25 years ago hadn’t really hit us yet. R+BA – 20 years ago it was still being perceived as another generation’s problem. TF – Right. At least we talked about energy conservation, things like that, but we hadn’t really seen it happen and, so, we’re living in this time when there is all of these larger contextual changes happening and that ability to see connections at various scales is one of the most valuable things that we do. We don’t tell clients that and, again, this is part of the problem. They think, “Oh, you’re an architect. I only need to talk to you when I need building.” When, in fact, where we should be as a profession is, “You know, we’re having a lot of problems in our community and they seem to happen at different scales. Can you help us?” I would argue that that is an architecture problem, or at least it’s a design problem. R+BA – In some of your recent work you have discussed the idea of an architectural equivalent of a public health service. Could you elaborate on that idea? TF – My interest in public health started when my colleague, who is the dean of the School of Public Health at my university, was writing a history of that field and he started to ask me about Frederick Law Olmsted. I wondered why he cared about Frederick Law Olmsted, the American landscape architect who designed Central Park. Well, it turns out in the American Civil War, Olmsted, with a group of doctors, started this thing called the American Sanitary Commission, which became the American Red Cross. So a landscape architect was essentially at the beginning of the public health movement, at least in the United States. It turns out that was true in other countries as well. I also became interested in the fact that the public health community was increasingly interested in working with our disciplines because many of their challenges like obesity and cardiovascular disease, asthma, automobile accidents, whatever, all of these are built environment-related, so they were increasingly wanting to partner with us. It is also worth noting that the public health impacts of what we do are so enormously costly, so when, again, we’re faced by communities who may wonder, “Well, why should I hire an architect? You guys are expensive” is when you look at the ways in which we’re now living, the obesity epidemic alone, at least in the United States, we spend $176 billion a year just on obesity-related illness. I don’t know what the global number is, but there was a World Health Organization report that came out a couple of weeks ago that said that obesity globally is now at a record rate 1 in 11 people are obese. When you have a client or community that says, “Well, why would we need to bother hiring designers,” in fact, we can align ourselves with public health to say that part of what we do as a design community is think about the health impacts. Those health impacts are so expensive that whatever our interventions cost they’re minuscule in comparison to what we’re going to save society by improving the health of this population. So again, this idea that design is on the saving side, it’s not on the cost side of the ledger. R+BA – Yes, and I think that goes for things like apartment design for example where you’ve seen in several cities very ordinary buildings go up with very poor amenity. You have to wonder what the health impact of those design decisions and the forces that culminate in those buildings will be. TF – Yes, I think there’s a lot of conversation in the States, but I think it’s a global conversation. The public health community has essentially started a health impact assessment process and there’s a lot of conversation going on about making that just part of all decision-making. That our transportation decisions, our housing decisions, our urban design decisions, all need to asking what are the health impacts of this decision versus that? Because, again, the health impacts are so costly that we’ve been making decisions thinking we’re taking the least cost route, when truly this route is in fact the most costly because of the long-term negative health impacts that these decisions are having. I’m very interested and to me this is how the design community can make big improvements. A lot of conversation at this conference is about agency. We talk about how to get people to listen. Well, I find this is really why my more recent work has been spending a lot of time looking at the economics, because you can make economic arguments. You don’t even have to argue that design makes our lives better. We all know that, but the economic argument itself is so compelling that it drives people to the design community and, then, we can do the other good things that we know how to do. Despite all the talk about a crisis, all I see in this is opportunities. I just think the ways in which we can define our value or demonstrate our value is just enormous. It’s just there for us to take. Thomas Fishers new book is entitled ‘Designing Our Way to a Better World’ and has just been released. After and action packed 2 days in Adelaide, the 2016 Australian Institute of Architects national conference had one last day in the now. If you some how missed The Red+Black Architect coverage of day one or day two, because they happened to soon, you can review them now. First up for the day was Astrid Klein with a journey through the design thinking and philosophy of Klein Dytham Architecture in Tokyo Japan. Her presentation emphasized the ambition of providing work that was ‘more than architecture. Perhaps what became most apparent from the collection of high quality projects was the highly graphical content within the architecture. The type of graphics and the way it was integrated into the architecture varied project to project. There were printed graphics in glass, T shaped graphics cast into glass reinforced concrete, and animal silhouette’s incorporated into cross laminated timber structures. 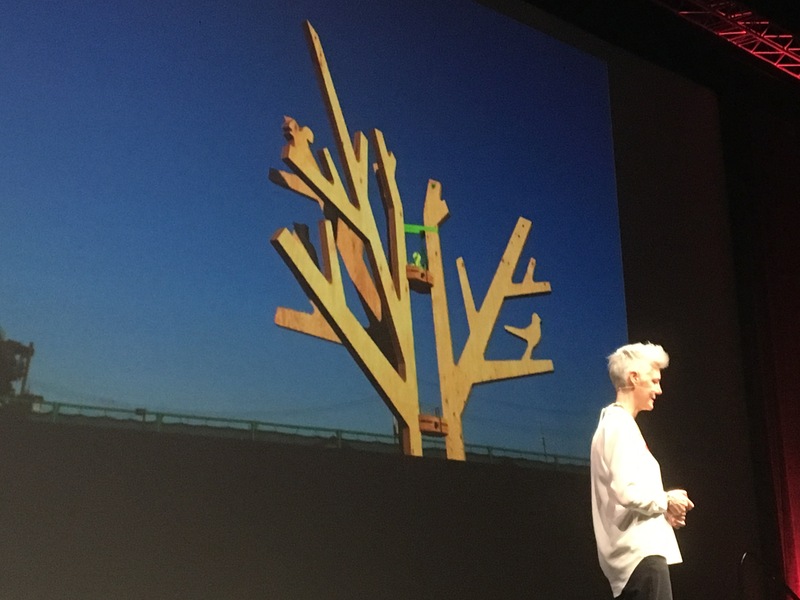 Toward the end of the whirlwind tour, Klein discussed her invention of the worldwide sensation known as Pecha Kucha. This event takes the format of 8 to 14 creative speakers each giving a presentation of 20 slides for 20 seconds per slide. Starting from Tokyo, it has been wildly successful and there are over 900 cities where Pecha Kucha has taken off. Klein’s argument for architects to do more than architecture was both compelling and inspirational. It highlighted the importance of engagement and communication in both buildings and architects. Next to the podium was Urtzi Grau & Cristina Goberna Pesudo from Fake Industries Architectural Agonism. Discussing their somewhat provocative approach to the practice of architecture, the dynamic duo provided a short critique of where the architecture profession is at. They noted that after the recent financial crisis, young professionals are rethinking the practice model. In the case of Fake Industries Architectural Agonism this has been in the form of repeated international collaborations specifically set up for the life of a single project. The highlight of this presentation was the discussion surrounding their shortlisted entry into the Guggenheim Helsinki Competition. Rather than accept the highly restrictive requirements on the climate within a gallery space, this stipulation was challenged. The proposal instead offers a variety of internal climactic conditions which sequentially blurs the extremely cold temperatures externally with the required conditions in the final gallery space. The spaces in between therefore facilitate artwork of a different nature, that is not possible in galleries anywhere else. This idea was a masterstroke, that clearly impressed the competition jury, as it did the conference audience. Perhaps the most insightful of the morning presentations was that of Kevin Low of smallprojects. Beginning with the problem of steps leading up to a house entry, low broke down one of the essential dilemmas in design. Do you start with form or do you start with content? Starting with form can assist the delight and elegance of the solution, yet sometimes at the expense of the commodity or purpose. The solution for Low’s entry stair problem was to design a seat which could fold out to act as an access ramp when necessary and fold away when it was no longer needed. This clever solution is symptomatic of a deep thinking architect working hard to solve problems for a client. 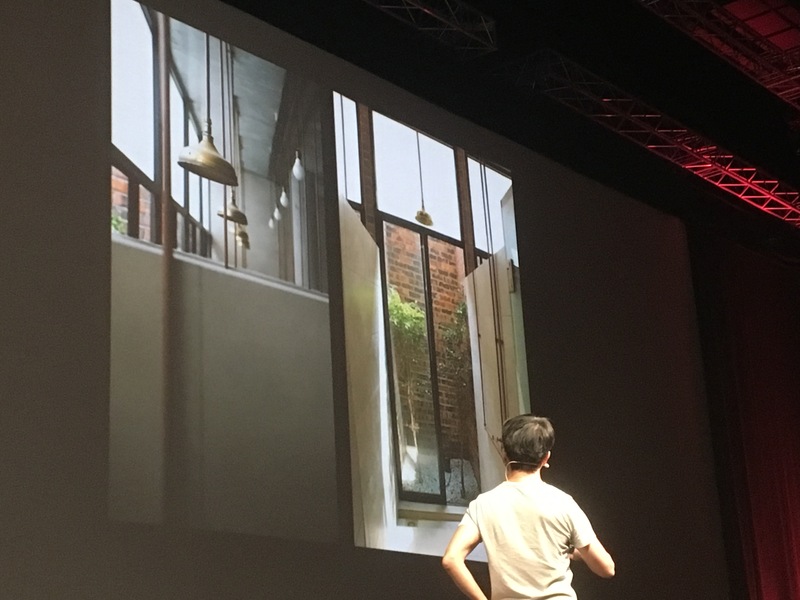 As low continued on to talk about his work in Malaysia he made some very profound comments on architecture and designing for tropical environments. Flipping through the images, Low emphasized the rawness of his built work, allowing construction marks to tell a story of the building rather than being concealed behind paint or plasterboard. An architecture that is like people, imperfect but full of personality. After the tea break the audience was given the choice of two panel discussions, Building Resilience or Transforming Populations. 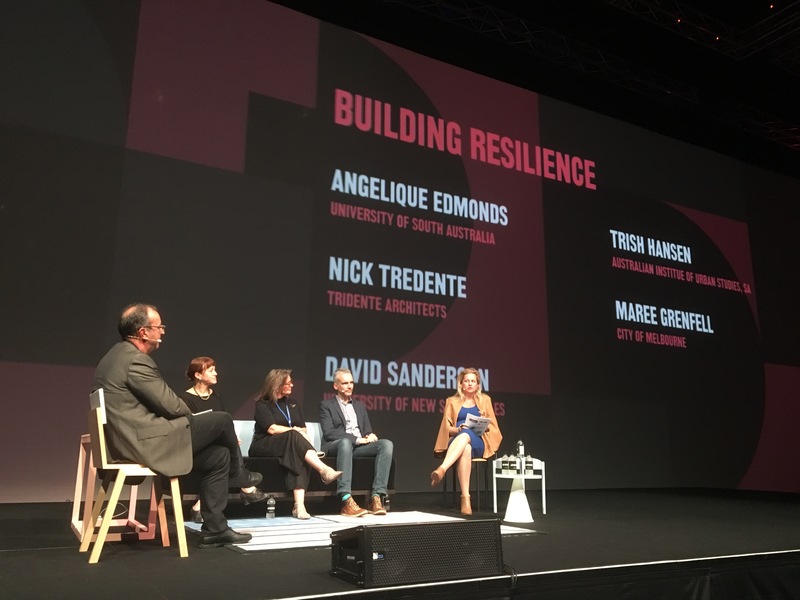 The Building Resilience panel featured Angelique Edmonds from the University of South Australia, Nick Tridente of Tridente Architects, David Sanderson from the University of New South Wales, Gabrielle Kelly from SAHMRI Wellbeing and Resilience Centre and Maree Grenfell from the City of Melbourne. With the increasing impacts climate change, making our cities more resilient to disasters will be one of the biggest challenges to urbanism in the 21st century. As Sanderson explained, for every $1 spent on ‘resilience’ preparing for disaster, about $7 is saved when disaster strikes. But how should we be preparing? What strategies should we use? The panel suggested that the options to improve resilience could be categorized into three aspects: environment, people and systems. From an environment perspective, architecture will have a massive role to play. Buildings that can be flexible in use and less reliant on community infrastructure will be inherently less fragile to disruptions and sudden change. The role of people in resilient city’s will also be crucial. When disaster strikes, government agencies are not always able to help. This means that it may be up to the community to mobilize themselves. If they are to do this education and a level of social connectivity will be required. 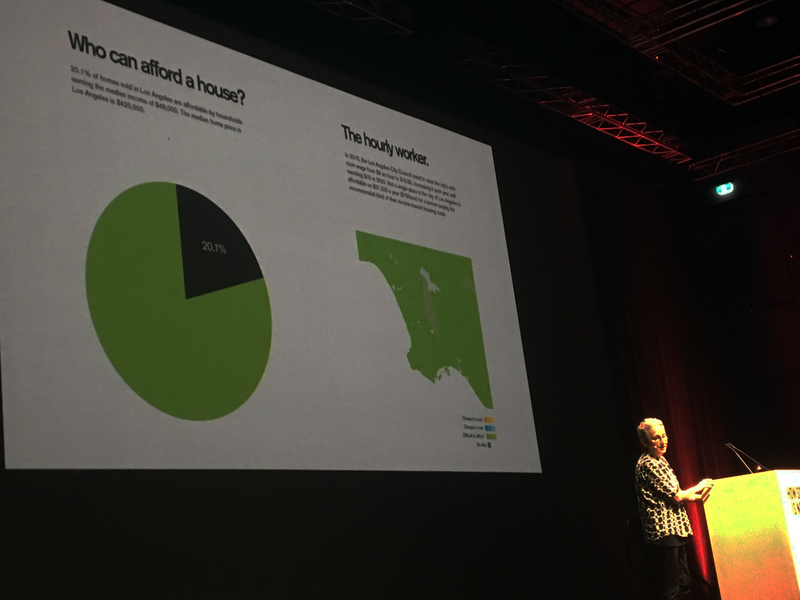 Maree Grenfell provided a statistic that 41% of respondents to a City of Melbourne survey thought that neighborhoods would not ‘pull together’ if a disaster were to strike. This might indicate that significantly more work needs to be done to make our built environments more conducive to social cohesion. 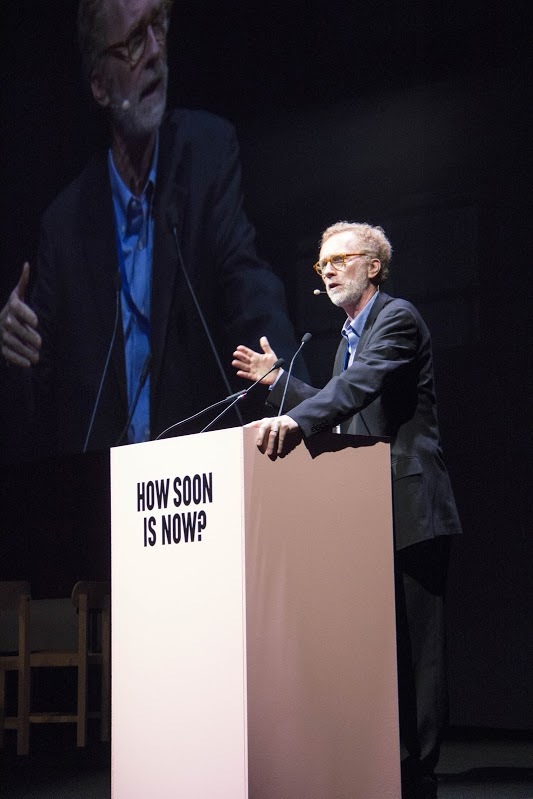 The final keynote speaker for How Soon is Now was by the extraordinary Thomas Fisher from the University of Minnesota. His book, In the Scheme of Things (reviewed here by Sonia Sarangi) is a brilliant piece of writing discussing the problems and opportunities of the architecture profession, in comparison with that of other professions. For those who have read the book, there were very high expectations about Fishers presentation. Needless to say, those high expectations were easily met. Connecting the dots through the history of architecture, Fisher made some bold predictions about where we are headed. 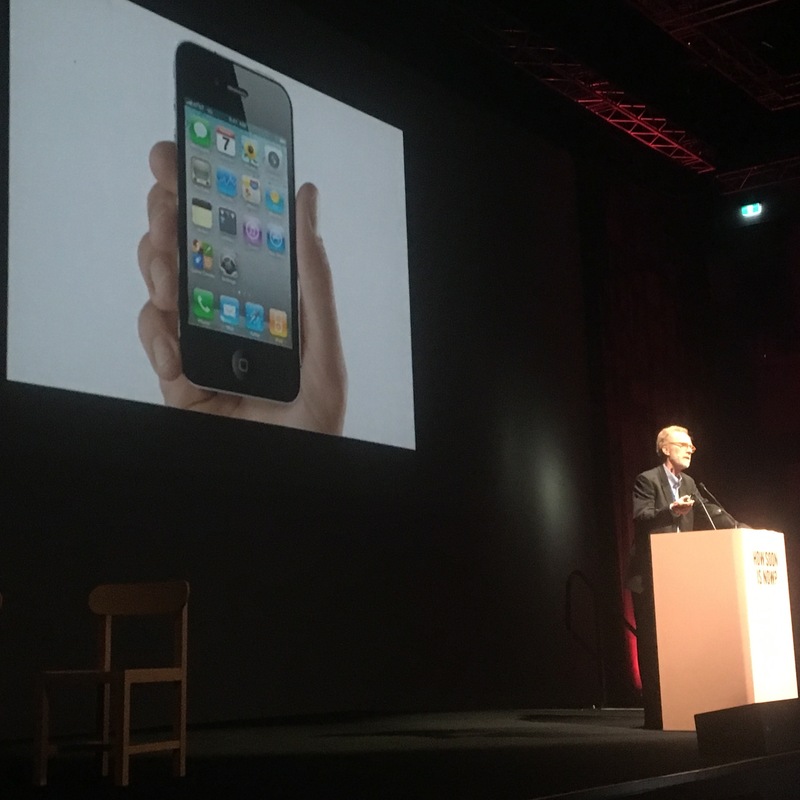 Describing the third wave of architecture, triggered by the media revolution of the smart phone. For architects Fisher foresees massive opportunities to use design thinking within systems. Whilst the full extent of this future is speculative, Fisher hypothesized that maybe as little as 5% of work undertaken by architects in 30 years time will be on physical building design. To back this bold claim up, he cited multiple examples such as the Centre for Disease Control in the U.S. hiring Fisher’s team to educate their staff in creative thinking. Another example of a new form of architectural consulting was in the financial and spatial modeling of neighborhood infrastructure. In this case, an architect had developed a software solution that enabled highly complex spatial information to be communicated to the local government who were trying to plan infrastructure. This point connected brilliantly with Nasrine Seraji’s opening argument that ‘we need to create better tools for reading our cities’. With Fisher leaving the audience full of ideas to digest it, was time for an end of conference wrap up discussion. Tasked with this difficult duty were: Sandra Kaji-O’Grady from the University of Queensland, Timothy Hill of Partners Hill, Kerstin Thompson from Kerstin Thompson Architects, Charles Rice from the University of Technology Sydney, Thomas Fisher and Nasrine Seraji from Atelier Seraji Architects and Associates. Here on the last panel of the day the ideas kept coming. Rather than just a neat summary or critique of what had been, further ideas about advocacy, architectural education and the role of drawing in the making of architecture were put forward. From past experience the end of a conference can be somewhat strange. Having sat through two very intense days of discourse, the audience is often after a fitting conclusion. Whilst the conversation here may have frustrated some, it was both insightful and intelligent. Looking back at it, How Soon Is Now had a few key messages. Firstly that we should be focusing on content and function over form, this is where we can do the most good. Secondly that the considerations of urbanism and the city will be as paramount as ever to architecture. Finally that we need to prepare for rapid change at all levels. Change is happening now, even greater change will be happening soon. 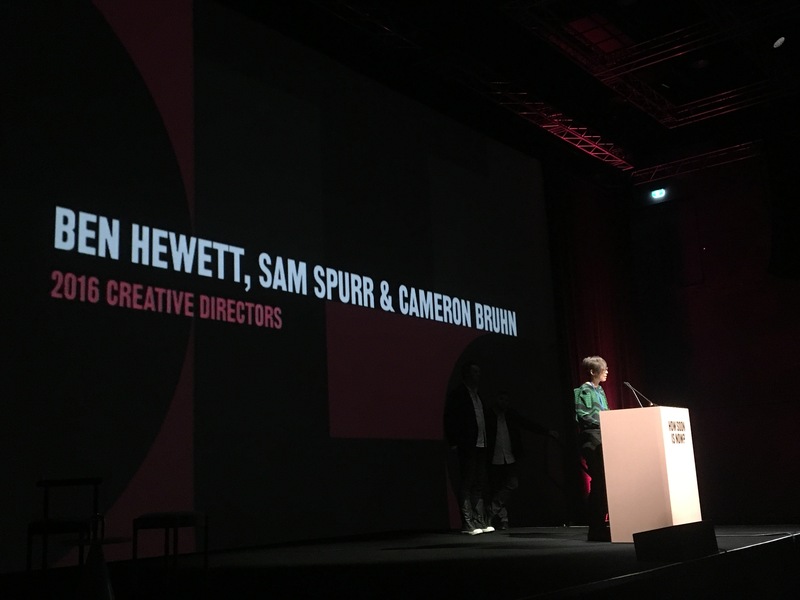 Once again many thanks and congratulations to creative directors Ben Hewett, Sam Spurr and Cameron Bruhn for putting on an excellent conference that was rich in content. How soon is Now? Now is in the past, and architecture Christmas is over for another year.